These past few days have been uneventful so I am combining multiple days to keep it interesting. First Tuesday, the seventeenth, we had been doing a lot of school work and at the end of the day Bayus felt sick. He felt like he was going to throw up. He had said this in the tatami mat room, a place that is really hard to clean, a recipe for disaster! We made some preparation, but gladly no incidences occurred. The next day, Wednesday the eighteenth, Bayus felt much better and we did more school. On Thursday, the nineteenth, we went to have a visit with Uncle Yoshio and Aunt Tamiko at their house. We had some really good conversations and the best stew we have ever had! 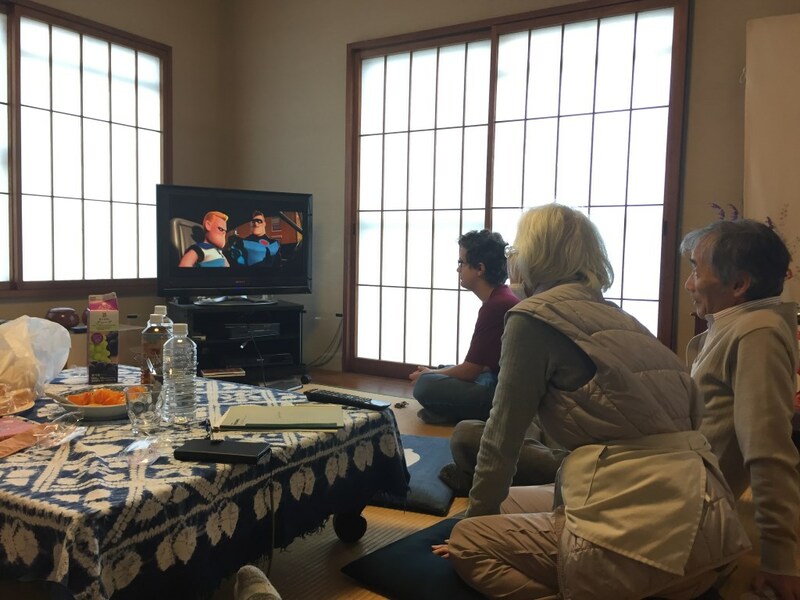 After the amazing lunch we watched a movie in Japanese that you just may know…The Incredibles. It was really cool to be able to watch the movie with Uncle Yoshio and Aunt Tamiko. I also liked being able to know what was happening in the movie, because we had watched it so many times in English. It was funny to hear them speaking a name separated by Japanese talking “incredi boy”……..”incredi boy”……..”incredi boy”. It was very entertaining and useful to watch it in Japanese. Sometimes we could match the Japanese word with the English word and we knew what they were saying. 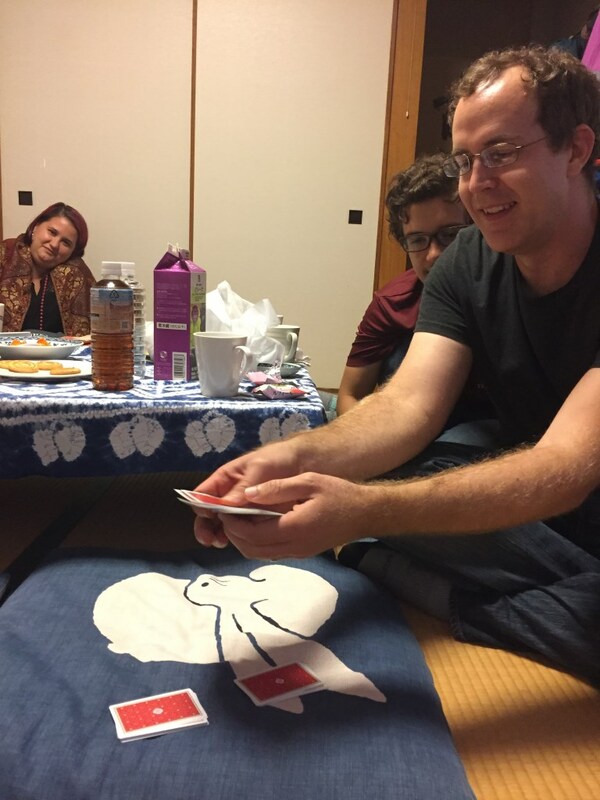 In this picture Dad is showing Uncle Yoshio a magic trick he had recently learned. On that day we also helped Uncle Yoshio move some heavy stuff out of his house that he didn’t need anymore. The biggest thing, a really big cabinet, was fifty years old!! Eventually we had to leave because we had a Japanese language class to get to. Yoshio led us to the bus stop we needed to get to and we quickly reached the train station and got to our class. 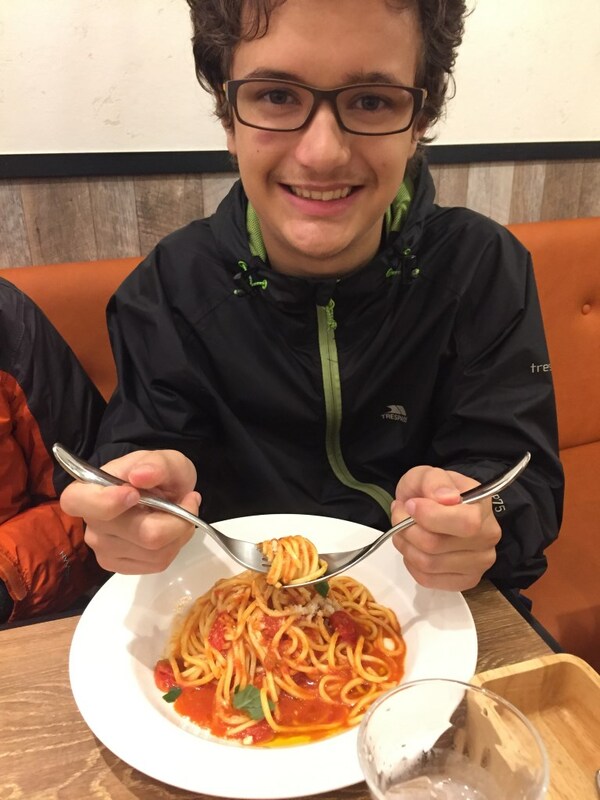 Afterward we went to a small pasta restaurant. It was cool because one, I love pasta, and two, the small restaurant had only two people working there. They both did all the cooking, cleaning, and serving. 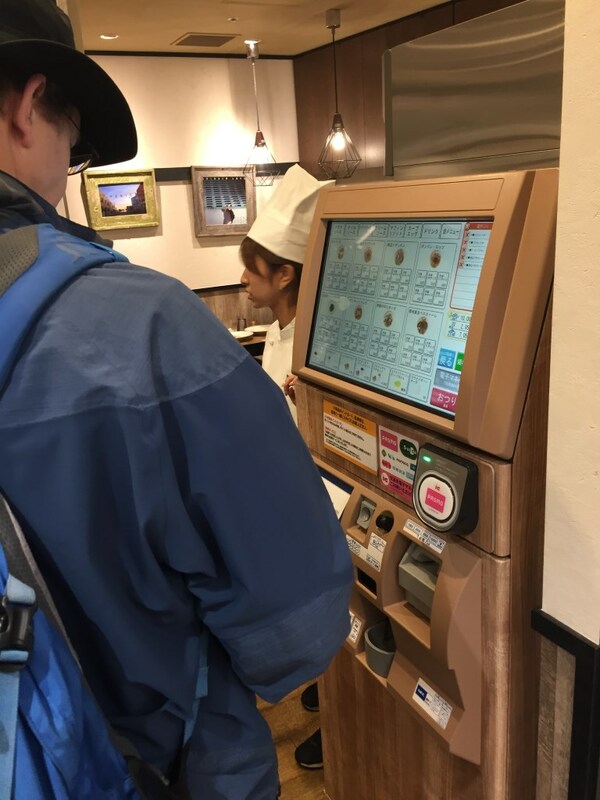 We had to order our food with a touch screen. It was a lot of fun and the food was good. The past few days may have been quiet but still lots of fun! DAY FORTY-SIX, FORTY-SEVEN, AND FORTY-EIGHT: Lunch With Chieko’s family and a… TYPHOON!!!!!!!!!! !